Database managers are needed by many businesses, in a wide range of industries, in order to securely organize the vast amounts of information that companies collect. This information must be categorized in an orderly fashion that enables its retrieval to be quick and efficient. In addition, the security of such information is of the highest importance as much of the information collected contains sensitive information, and can be subjected to use in a fraudulent manner. 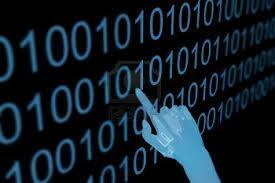 Find database technology schools in your area below to begin. Drawing from a number of different disciplines, database management demands technical knowledge in information science and computer science as well as how to best serve a business's information needs. Good analytical skills are needed so that the database management system can be built to accommodate a business's needs for today, as well as any needs in the future. The ability to communicate effectively with a wide range of people is needed. In addition, database managers must be able to communicate in an effective manner verbally, and in writing as well. This will ensure that all employees are properly trained on how to use the database management system, and that all documentation is properly cited in a manner that is easily understood by most people. Because different software is geared for different applications, a good database manager needs to be well versed in a wide range of such software. In addition, the database manager will need to be able to implement the database management software that will best suit the needs of the company as well as maintain the system. From all the vast types of information that is collected and used by computers, database managers need to be able to understand how each piece of information is used in conjunction with another. The databases designed by database managers must be flexible enough to accommodate these different relationships while protecting the integrity of each piece of information. The security of sensitive information is at the forefront of many companies, and consumers, minds. Identity fraud and theft continues to be on the rise, and businesses of all sizes must be able to assure their clients and customers that their information is safe. A database manager is responsible for knowing the latest threats in security as well as the safeguards necessary to thwart them. Another aspect of database management is to guard against the unexpected loss of valuable data. Being able to effectively operate a backup system that also allows quick retrieval of needed information is key. Find a top computer college today to get started on your degree. There are a number of different systems that businesses use. These can range from in house information management systems to systems on the internet that allow clients to access a business's services and products. The seamless integration of these systems is another task that a database manager is likely to need to perform. In addition, as newer, and more efficient, database management systems are developed, the smooth and total shifting of information from the old database to the new database is of utmost importance in order to minimize the loss of data, as well as down time when that data is not available.